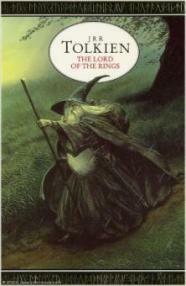 Gandalf is one of the most recognized names in all of literature. He is a major character in JRR Tolkien’s two most well-known works, The Hobbit and The Lord of the Rings (three volumes). He is, in many ways, the prototypical wizard, though that “prototype” was in part created by Tolkien himself. The image of a wizard as an old, bearded man goes back to the legends of Merlin and the Norse epics. Tolkien knew Norse mythology as well as anyone of his day. Tolkien was likely heavily influenced by one of the tales found in the Elder Edda which tells of the Norse god Odin traveling the Earth in the guise of a bearded old man with a staff. Tolkien himself acknowledged the similarity in a 1946 letter, calling Gandalf an “Odinic wanderer” (Letters No. 146). The name Galdalfr appears as part of the “Tally of the Dwarves” in the poem known as the Voluspa, part of the collected Norse mythology known as The Elder Edda. Tom Shippey notes that “Gandalfr” is misplaced on the list of dwarf names, since “the second element is quite clearly alfr, ‘elf’, a creature in all tradition quite distinct from a dwarf” . The root words together gand and alfr mean something along the lines of “wand-elf” or as Shippey points out “staff-elf” (JRR Tolkien: Author of the Century pg. 16-17). Regardless of roots, it is Gandalf himself that has created the enduring modern image of wizards as bearded, staff-carrying old men. He has become such an icon of “wizardness” that nearly every book and movie of fantasy from then until now has used the same general formula, from Ursula LeGuin’s Earthsea novels to the fantastically popular Harry Potterseries by JK Rowling. When we first meet Gandalf in The Hobbit he carries these qualities to almost comic proportions – “a tall pointed blue hat, a long grey cloak, a silver scarf over which his long white beard hung down below his waist, and immense black boots” as well as “long bushy eyebrows that stuck out further than the brim of his shady hat” (Hobbit pg. 13). Though it is implied, we see relatively little of Gandalf’s “magical” abilities. Tolkien, as a philologist who had worked as an assistant editor with the Oxford English Dictionary knew very well that the word “wizard” was derived from the Old English word “wis”, meaning “wise”. Hence, Gandalf’s primary weapon is his mind, not his “magic”. In fact, throughout the course of The Lord of the Rings and moving deeper into Tolkien’s mythology, the idea of Gandalf’s wisdom is supported by the “deeper” story of his roots. At one point in The Two Towers, Faramir recalls Gandalf saying “Olorin I was in my youth in the West that is forgotten” (pg. 279). The name “Olorin” appears in the earlier tales of Tolkien’s mythologies. It is given to a Maia (one of the angelic spirits) who dwells “in Lorien…the fairest of all the places in the world” (Silmarillion, pg. 16). Olorin is mentioned as “the Wisest of the Maiar” who “learned pity and patience” with Nienna, one of the Valar (Silmarillion pg. 19). “in later days [Olorin] was the friend of all the Children of Illuvatar, and took pity on their sorrows; and those who listened to him awoke from despair and put away the imaginations of darkness” (pg. 19). There are some other small tidbits of information on the origins of the “Wizards” in Appendix B of The Return of the King and in Unfinished Tales, telling little more than that they came “out of the Far West”, likely emissaries of the Valar. But the most telling statement is one made by Tolkien himself – “of Olorin we shall never know more than he revealed in Gandalf” (Unfinished Talespg. 395). Tolkien loved mystery, and wrote very little on Olorin aside from these few general (almost teasing) comments. The Gandalf we originally meet, both in The Hobbit and The Lord of the Rings is Gandalf the Grey, the second in an order of five. The significance of colors for the order of wizards is unknown, but the leader of the order, Saruman, is “the White”. Radagast, the only other wizard mentioned in the narrative of LotR is known as “the Brown”, and plays no discernable role in the final battle against Sauron. The last two wizards, “the Blue Wizards” are mentioned only as footnotes in Unfinished Tales – “they passed into the East with Curunir [Saruman], but they never returned, and whether they remained in the East, pursuing there the purposes for which they were sent; or perished; or as some now hold were ensnared by Sauron and became his servants, is not now known” (pg. 390). Gandalf becomes, after the treachery of Saruman and his battle with the Balrog, Gandalf “the White”, indicating some increase in his powers and his standing. In Peter Jackson’s Lord of the Rings film trilogy, Gandalf was portrayed by British actor Sir Ian McKellan, who was nominated for an Academy Award for Best Supporting Actor for The Fellowship of the Ring. He also received an award for Best Supporting Actor in a Motion Picture by the Screen Actor’s Guild for the same role.